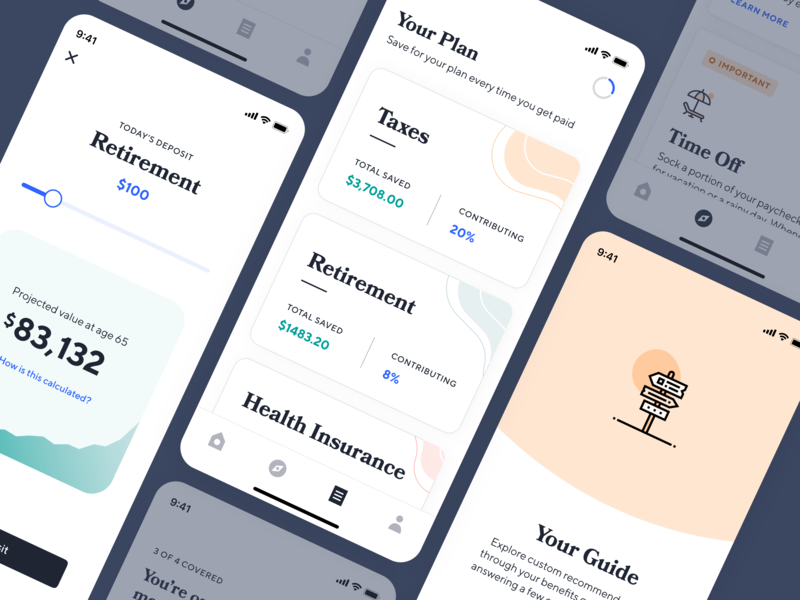 We are extremely excited to announce our latest investment in Boston-based Catch, a personal benefits platform designed around the modern worker to handle taxes, retirement, time off, health insurance, student loan refinancing and more, all in one place. Co-founded by Andrew Ambrosino, a former Kleiner Perkins design fellow, and Kristen Tyrrell, former director of product at student debt repayment benefits startup FutureFuel.io, Catch recently emerged as one of the most compelling businesses in Y Combinator’s Winter 2019 cohort of over 200 companies. The company recently announced a $5M Seed round co-led by Khosla Ventures (Evan Moore, formerly co-founder and head of operations at DoorDash) and NYCA Partners (Hans Morris, Chairman of Lending Club and former President of VISA). Indicator Ventures also invested alongside Kleiner Perkins, Kindred Ventures and several notable angel investors and seed funds. The U.S. workforce, and global workforce for that matter, continues to evolve, driven significantly by the rise in freelance/gig/contract/sharing/on-demand workers. This segment of the U.S. workforce has grown over 3x the rate of the overall U.S. workforce since 2014, with over 57M “modern workers” earning a combined $1.4T in 2017. Economic outlooks expect this trend to hold, and research suggests that the majority of US workers will be independent workers by 2027. This growth is attributable to everything from on-demand platforms like Uber, Lyft, Postmates, DoorDash, etc., to changes within large companies — in fact, 20% of organizations globally with more than 1,000 employees have a workforce that is made up of 30% or more contingent workers. What is clear is that the rise of the modern workforce has yielded tremendously positive opportunities for workers to supplement income, create flexible and balanced schedules, and more. At the same time, the inherent volatility in earnings of most 1099 workers and many W2 workers alike coupled with the lack of traditional employer-sponsored benefits put this large segment of the working population at a significant disadvantage. Beyond the aforementioned access constraints, simple things like knowing where to go to get healthcare, what to do to create a retirement plan, and overall financial planning are benefits we take for granted when they are offered through employers, but remain elusive for huge swaths of the population. This is increasingly pertinent to Millennial workers, as approximately 50% engage in the freelance/gig economy and likely don’t have a spouse’s (or parents’) employer-sponsored benefit plan to leverage. This is where Catch comes in. Catch’s beautifully simple and personalized onboarding helps identify gaps in workers’ existing benefits and overall financial goals, and offers personalized solutions to these very needs like comparing and picking the most suitable health insurance plan, choosing the most appropriate retirement account, offering robo-advisor services, and much more. When we were connected to the Catch team through our Venture Partner, Zack Onisko (an advisor to the company and CEO of Dribbble, a marketplace for freelance designers and creative professionals), it was immediately apparent that they embodied the passion, dedication and vision that we search for in a founding team. We are thrilled to support Catch in their mission and look forward to sharing many new product and feature launches in 2019 and beyond. Indicator Ventures is an early-stage venture fund focused on opportunities across the digital landscape.